Happy Monday, beautiful people! I hope everyone is feeling blessed and refreshed today. As for me, I'm starting the week off with a new manicure. I can't remember the last time I actually did a freehand design on my nails, so I decided to go with something that took minimal effort. And since this leopard print design was pretty easy to do, I wanted to share a little tutorial with you guys on how I did it! 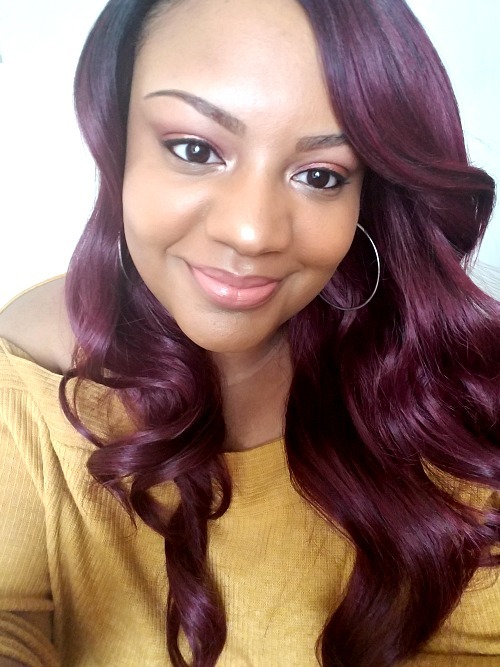 If you like this one, please let me know in the comments so I can begin to do more tutorials here on the blog for you! Before anything, make sure to prepare for your manicure by cleaning and trimming your nails. I like to clean my nail bed by wiping them with an alcohol-soaked cotton ball. This removes any excess oil or debris from nails that may affect the smoothness of the nail application. After prepping nails and applying a base coat (to protect nails from staining), choose the colors you will be using for your manicure. 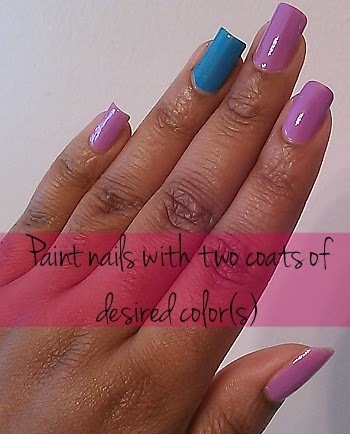 You will need one color for your accent nail and another color to paint the rest of your nails. 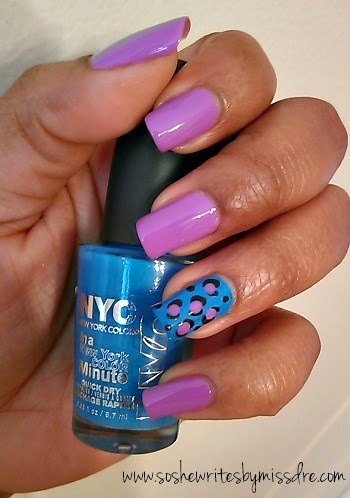 I grabbed NYC in a New York Minute Quick Dry Nail Polish in NY Blues and Essie Nail Lacquer in Play Date. Paint nails with two coats of polish. As you can see, I chose NY Blues for my accent nail. 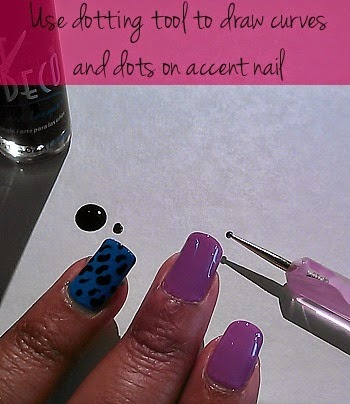 After two coats of polish have completely dried, use your dotting tool to draw curves and dots on the accent nail. 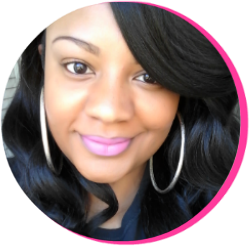 I got my dotting tool from BornPrettyStore, but you can use a toothpick or anything around the house you can get your hands on. 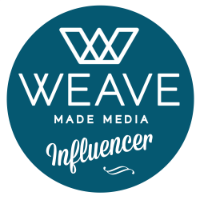 It's all about using a product that allows enough control to draw small designs. You can choose any polish you'd like to draw the curves, just make sure it's darker than the other two polishes you use. Here, I am using black. 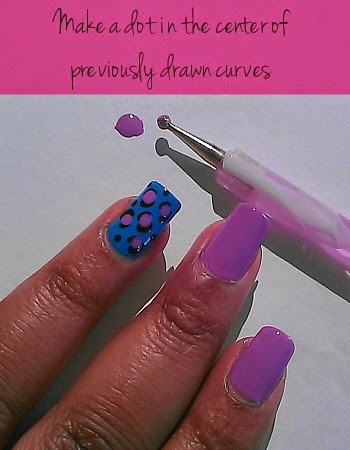 Now, using the dotting tool and your second polish of choice, make a dot in the center of the curves you drew in the last step. You should see your work come into form now! And for your final step, add a top coat on your nails after all polish has dried. Go back with a q-tip or small paintbrush (soaked in nail polish remover) to clean up any excess polish on your nails. What are your nails looking like this week, ladies? What colors have you been using lately? 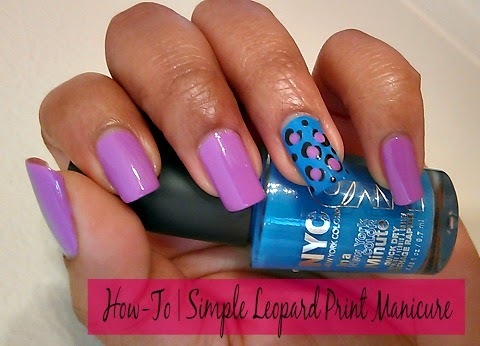 Will you be trying this leopard accent nail look out? I would love to hear your thoughts in the comments!